They soon became a popular live band around Lancaster playing school and after-school parties and dances. It wasn't long before they were spotted by the 'Sam Phillips of the High Desert' - Glen MacArthur - and asked to demo some tunes for him. MacArthur ran a small recording studio out in nearby Palmdale, and released material on his own Glenn Records label. He was well known locally and the studio in his garage was renowned for its vocal booth made from the cockpit of a F-86 Sabre jet fighter. The Exiles visited MacArthur's Glenn Studios where they laid down some demo tracks - one of which, a cover of Buddy Holly's Rave On has been released on the Wild In The Desert compilation. By April 1964 they had recorded a number of songs, including Don't Call On Me which was the first real musical collaboration between Merrrell and Jeff and also featured Jeff's first recorded solo. Their single releases, which were credited to MERRELL & The Exiles to cash in on Merrell's name from his time with The Impacts, had some local success. That meant they were in greater demand and when they signed for a Hollywood agency (Hollywood International Talents - HIT Talents) they were soon touring extensively. The success of the single also led to a couple of TV appearances. One in San Diego on Bob Howard's "Dance Time" and another for "9th St. West" on KHJ Los Angeles. Their local radio chart success was repeated further afield in Oklahoma and Indiana but national success eluded them mainly due to the lack of publicity and distribution that a small label like Glenn could manage. The line-up of The Exiles had been changing over these early months. Dan Stevens was no longer in the band. 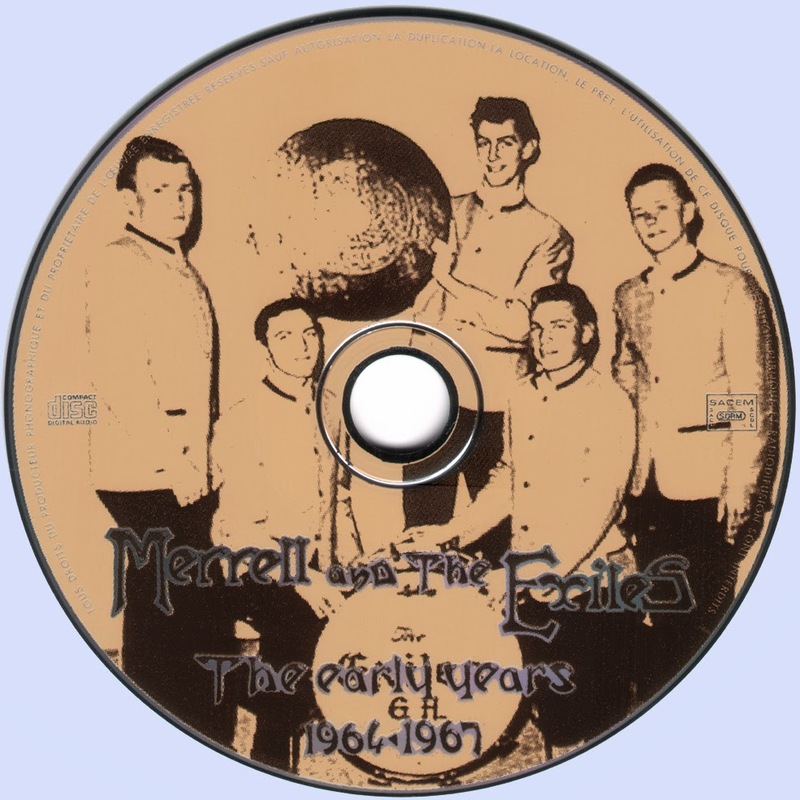 After the first single had been released Merrell decided he didn't like Greg Hampton's drumming so enlisted Danny Martin in his place sometime around June 1964. The line-up of The Exiles seems to have continued to have been fairly fluid and it is very difficult to figure out the different band configurations. At various times John French sat in on drums for live shows and in the studio. 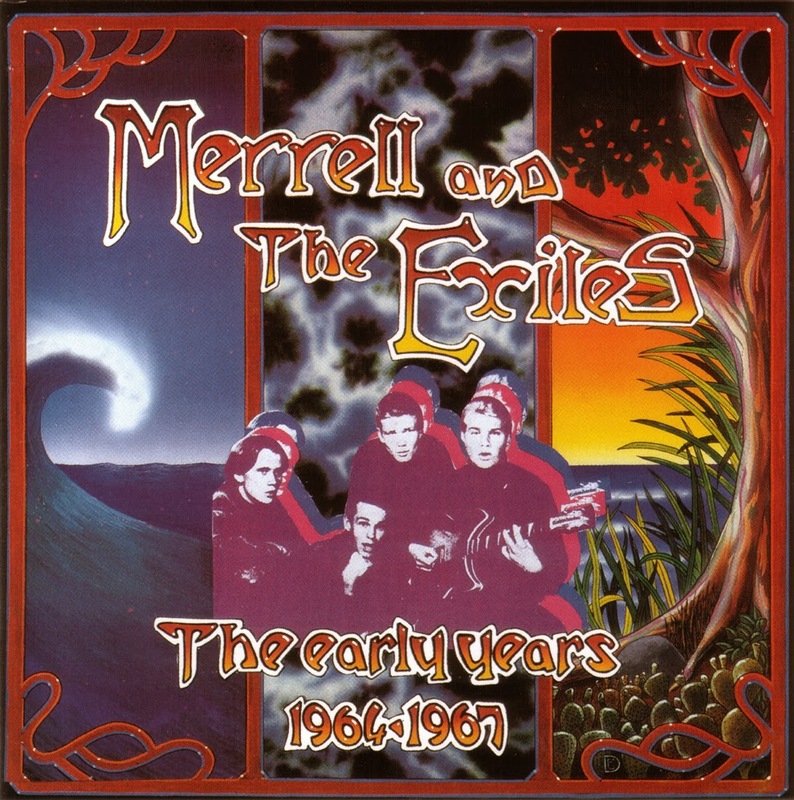 Merrell gives the impression that there was a lot of movement and interaction between the Lancaster bands, members of The Exiles and the Magic Band jamming together at various times. Although this sounds interesting, even plausible, there is little evidence from elsewhere of this taking place. However, in a small place like Lancaster the happening bands at the time couldn't help but take notice of each other and would be well aware of any particularly good players. Jeff seems to have left and rejoined The Exiles a number of times to play with two other bands - The Illusions (or Allusions) and The Bountys. The main break-up of the original band came at the end of 1965 following a disastrous six week gig around Christmas at a logging camp in very cold Portland, Oregon.